- Sirius Rocketry Branded Wear Available : Sirius Rocketry Online Store, For the Serious Rocketeer! 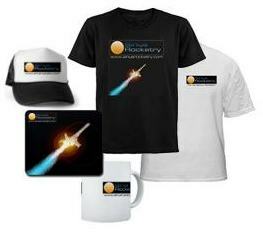 Sirius Rocketry branded merchandise is now available through our friends at Cafepress! Shirts, caps, mugs, mousepads, bumper stickers and even more items coming soon! This store is a separate store from our online shopping, so make sure you come back here when done! Click here to go to our Sirius Rocketry branded item store!